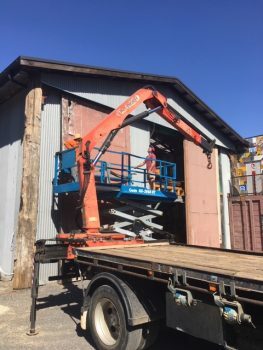 This year we are lucky to have ‘team Glennie’ back together. 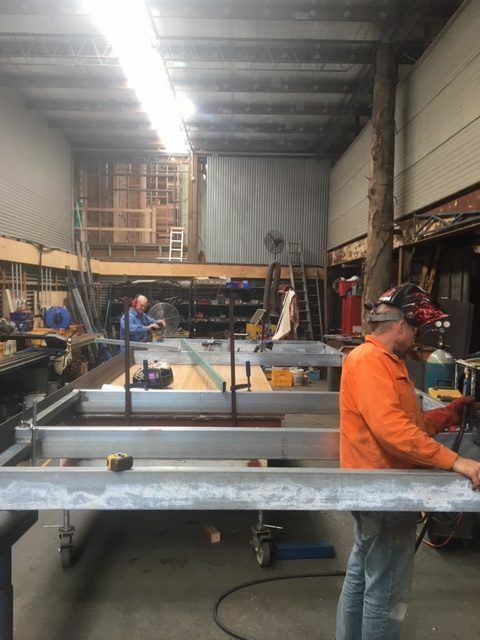 Comprised of Lennie McNamara (who was our first ever apprentice back in the Pumphouse Design days… and has been working on high end Melbourne builds… now slumming it back in the Salvage yard)… teaming up again with the maestro of everything down here… Glenn Ferguson. 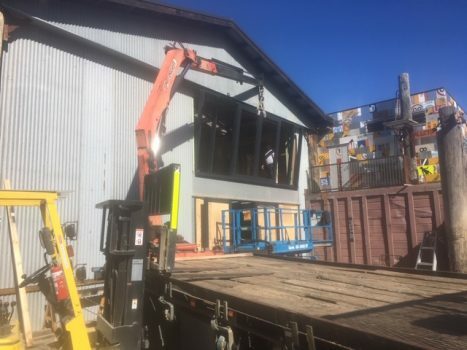 We are throwing everything into doing all the construction jobs that we have in the pipeline.. and have had for many years now. 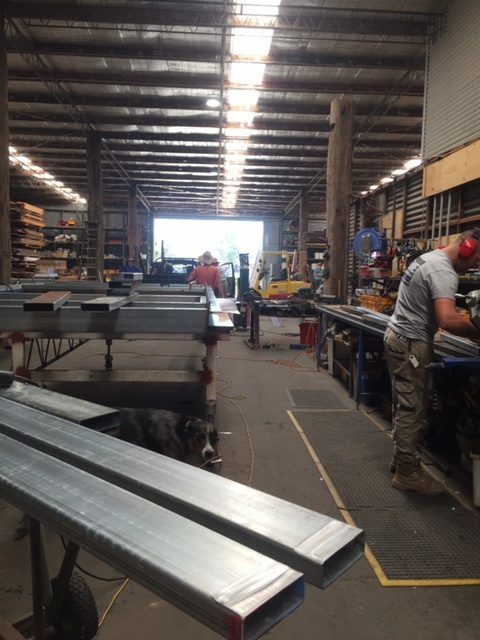 As a lot of folk know… we live in the back skillion part of our shed as caretakers. 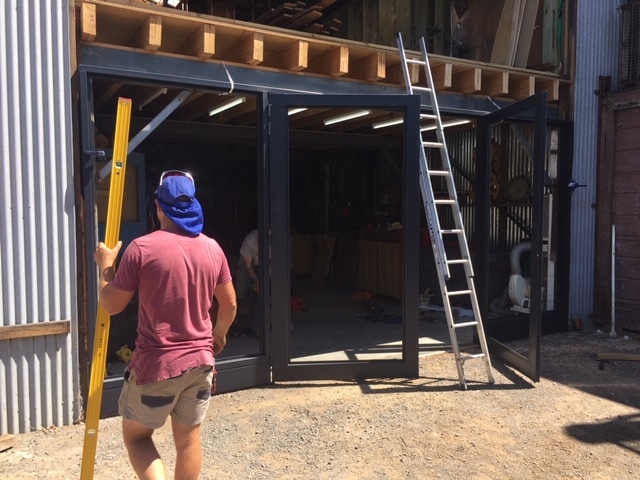 Behind us is the gabled section of the shed, which has a slab base, and houses our workshop tenants.. Phil the Luthier, and Sam the cabinet maker. 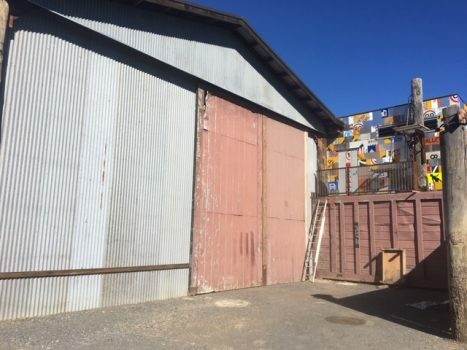 The north and south ends of this workshop are clad with huge 6m high roller doors, that are ex Melbourne Wharf. 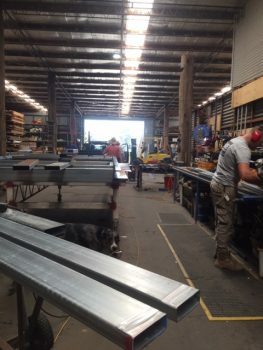 We need a little extra space to move up there with 2 teenagers and their ever expanding array of friends (as we sleep in the lounge room)… so we are pushing through into the top of Phil’s workshop. 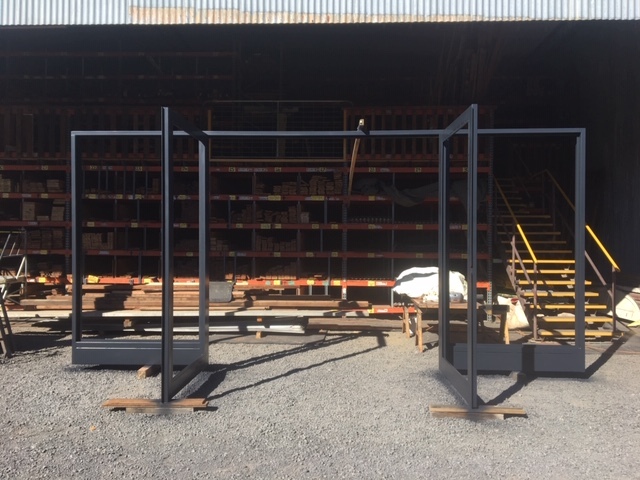 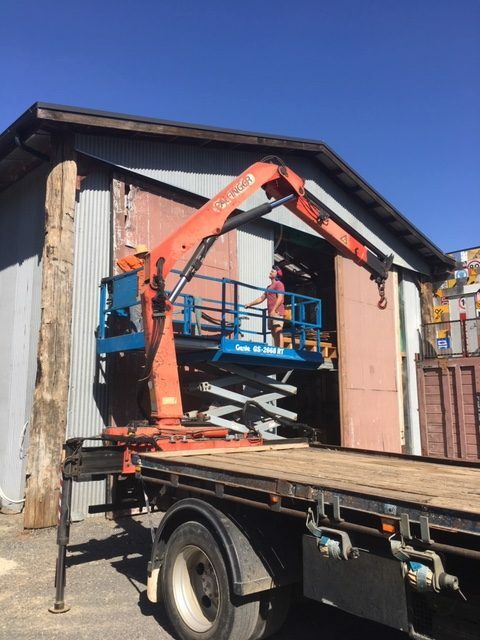 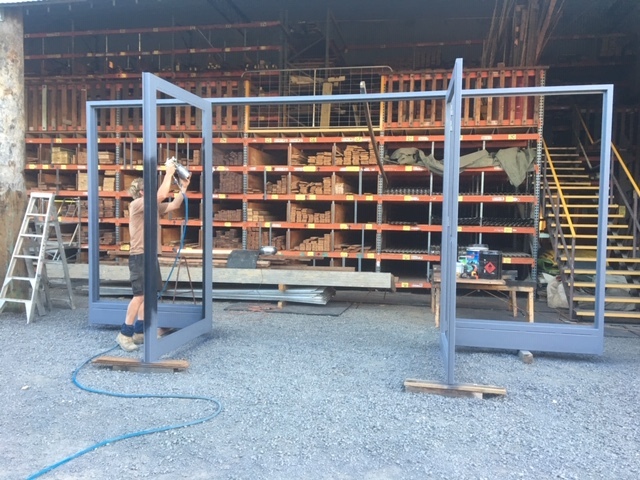 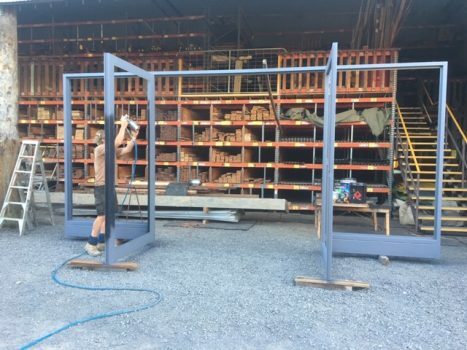 Phil and ourselves will benefit from the magnificent work of ‘Team Glennie’ as the huge Wharf doors (and therefore Phil’s shoulder injuries opening and closing them every day and night!) 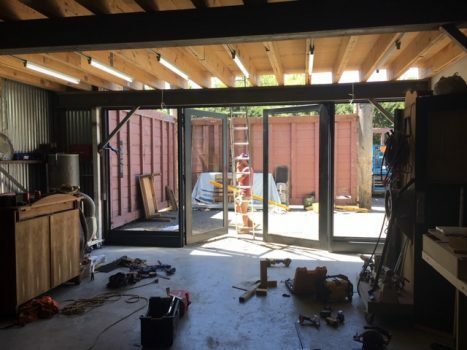 will ‘disappear’ (read, go out into the world to hopefully some new home in another very gorgeous barn)… to be replaced by the skilled steel construction work of these two super gents, as they have built steel frames customised to all open spaces, which will, in turn, be glazed by… yep… you guessed it… ex commercial glass, which just happens to be conveniently located not 400m away! 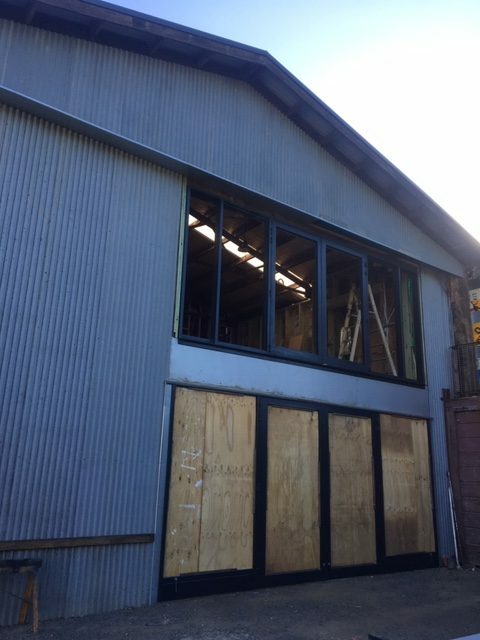 So, changes have begun… you may not have noticed, because it is a bit tucked away… but once this end of the yard is complete… team Glennie will be moving to the far end of the ‘BIG’ shed… where there will be much re jigging as well. But for the moment… a few pics of what has been happening down the north eastern end! Previous Post GLASS (and acrylic) BRICKS GALORE!! 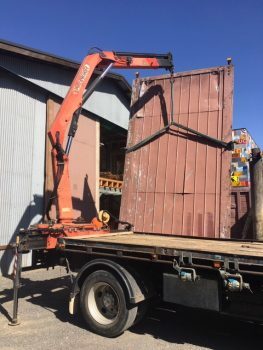 Next Post Ex Melbourne Wharf doors up for grabs.